Home » android » canvas a94 » canvas social » micromax » mobile » Nepal » Nepal release » news » pratex » specification » specifications » Micromax Canvas Social A94 hits the Market in NEPAL ! Micromax Canvas Social A94 hits the Market in NEPAL ! 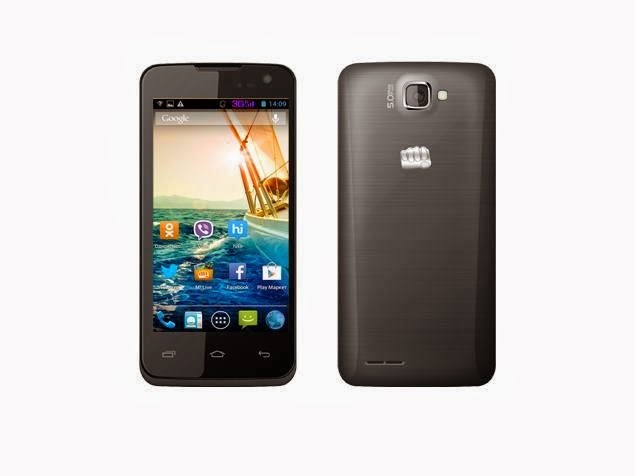 Micromax has launched another android system based smartphone Canvas Social A94. Released in January 2014 in India , the Canvas Social A94 has hit the market in Nepal. Micromax Canvas Social A94 has a 4.5-inch IPS display, and runs on the Android 4.2 operating system. It is powered by a 1.2 GHz quad core processor and has 512MB of RAM. The device boasts of a 5MP rear camera, as well as a front camera for video calling. On the connectivity front, it has Wi-Fi, Bluetooth 4.0, and 3G. Micromax has provided a 1,800 mAh battery in the device and it also comes with FM Radio. Available in Nepal now, the Canvas Social A94 with it's specifications and reasonable price range can just be the smartphone the users are looking for.